Mamma mia! 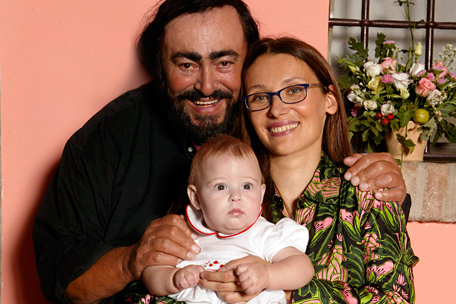 Happy Mother’s Day with the help of Pavarotti! Happy Mother’s Day! Mamma mia! Is it Mother’s Day already?, you might ask. Yes, in fact it is! In time of writing it’s Mother’s Day here in Norway. The second Sunday of February is when we in Norway celebrate Mother’s Day. Mother’s Day of course celebrates mothers and motherhood, but it’s celebrated on various days depending on country. Anyway, wherever you are in the world and when ever you read this, let’s celebrate mothers and motherhood with a little help of Pavarotti! As you might know the Italian word for “mummy” is “mamma”, so of course the Pavarotti song of the day is the Italian popular song “Mamma“ by the Italian composer Cesare Andrea Bixio. This song has over the years been sung by many Italian and international singers. Pavarotti sang this song and many other songs by Bixio on record and in concert. 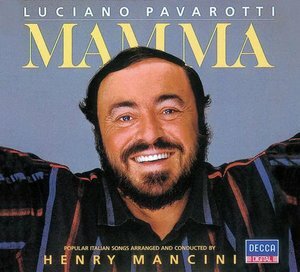 Pavarotti recorded the song for his 1984 studio album entitled “Mamma“. This classic Pavarotti album was originally issued on Decca LP and is now available on Decca CD, download and streaming. The first video below is the studio recording of “Mamma” taken from the 1984 album (audio only). The second video is a live performance from Madison Square Garden in New York in 1987. The last video is a duet with Ricky Martin from the Pavarotti & Friends concert in Modena in 1999. This post was originally published 10-02-2013 (Mother’s Day in Norway). Last revision 10-202-2013. Posted in Luciano Pavarotti, Pavarotti, Pavarotti & friends, Pavarotti's family, Pavarotti's performances, Pavarotti's recordings on February 10, 2013 by Odd Pavarotti. Pavarotti’s father was also a tenor. Fernando Pavarotti was a talented tenor, but didn’t make a professional career out of his singing. However, he occasionally sang in public in Modena with a local choir and sometimes with his great son Luciano. The first video is of Fernando and Luciano singing “Panis Angelicus” in the Modena cathedral in 1978. It is taken from the BBC TV documentary “A life in seven arias” which is also available on Decca DVD. The second video is the entire chapter in this documentary entitled “Panis Angelicus”. It tells more about Pavarotti’s childhood and musical background in which his father was an important figure. Hopefully this will set you in a good Christmas mood! Merry Christmas! This post was originally published 14-12-2012. Last revision 14-12-2012. Thanks to Annette for the idea for this blog post! Posted in Christmas with Pavarotti, Luciano Pavarotti, Pavarotti, Pavarotti in sacred music, Pavarotti's family, Pavarotti's performances, Pavarotti's recordings on December 14, 2012 by Odd Pavarotti. The Giro d’Italia moved further on today, but we have decided we’ll have to stay on even a day or two longer in the town of Modena as the cyclists of the Giro pedals away in the most beautiful country in the world! The reason for staying in the lovely Italian town of Modena is of course it’s the home town of the great Pavarotti, and because of this there’s so much to talk about! The first of today’s Modena related Pavarotti videos is Pavarotti singing “Panis Angelicus” by César Franck together with his father Fernando Pavarotti in Modena in 1978, probably in the Modena cathedral, the same church were Pavarotti’s funeral were held in 2007. The second video is Pavarotti singing the beautiful aria “Che Farò Senza Euridice” from the opera “Orfeo ed Euridice” by Christoph Willibald Gluck in a recital in 1985. This video isn’t well documented, but I’m sure it’s from Modena as I believe I’ve seen this clip on a DVD with the title “The Modena Recital” some time back. Posted in Giro d'Italia with Pavarotti, Pavarotti, Pavarotti's family, Pavarotti's performances on May 12, 2012 by Odd Pavarotti.